A traditional rocking chair from about 1920 has an excellent deep finish on solid birch hardwood. The frame is strong and tight with a few warps from age, reglued to served another generation. 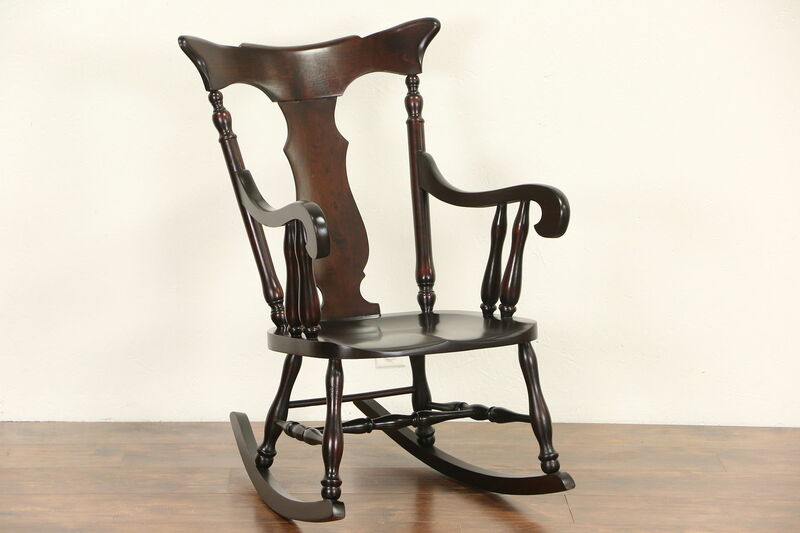 American made antique furniture, this comfortable rocker has a sculpted seat. Measurements are 24" wide, 31" deep, 38" tall and the seat is 15" high.